You Get Oprah’s New Book Club, and You Get Oprah’s New Book ClubThanks, Apple TV+. Spielberg, Oprah, Quincy Jones to Produce Film Version of Color Purple MusicalSomeone get Cynthia Erivo on the phone. Where Are All the Celebrities in The Handmaid’s Tale?I have so many questions about Oprah Winfrey’s cameo. The Handmaid’s Tale Got Oprah to Do a Hidden Voice-CameoShe’s the voice of a resistance radio station. 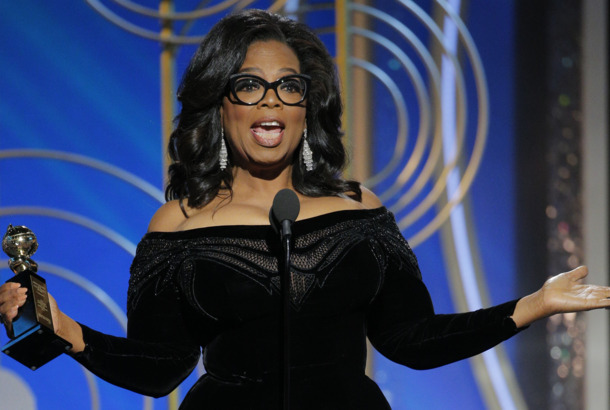 Apple Is Getting Into the Oprah BusinessShe signed a multi-year deal to create original programming for its new streaming platform. Lawsuit Claims Oprah Stole the Idea for GreenleafBeing sued might her most presidential move yet. Oprah Politely Endures a Legally Blonde Stan ExchangeThank goodness for this Wrinkle in Time press tour. 3 Minutes and 10 Seconds of Oprah Being Very Serious About BathingShe’s living her best moisturized life! The Wobbly and Woozy A Wrinkle in Time Only Works When It’s GroundedLet’s joyously welcome Ava DuVernay back to Earth. How Oprah, Reese, and Mindy Overcame Their Own InsecuritiesThe stars of A Wrinkle in Time get real with Vulture. Tiffany Haddish Had the Only Correct Reaction to Being Surprised by OprahEllen DeGeneres continues to be our best human. Donald Trump Hopes Oprah Will Run for President, So She Can LoseNeat. Oprah’s Golden Globes Speech Was Such a Bop, It’s Now on SpotifyTime’s up for every other song. 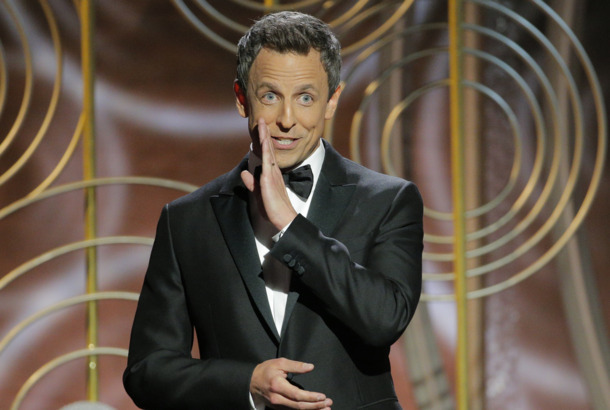 The Globes Were the Season-Two Premiere of Hollywood’s Anti-Trump ResistanceIt wasn’t the most suspenseful or funny show, but it felt cohesive, a glimpse not just at women, but at a community of women working in unison. 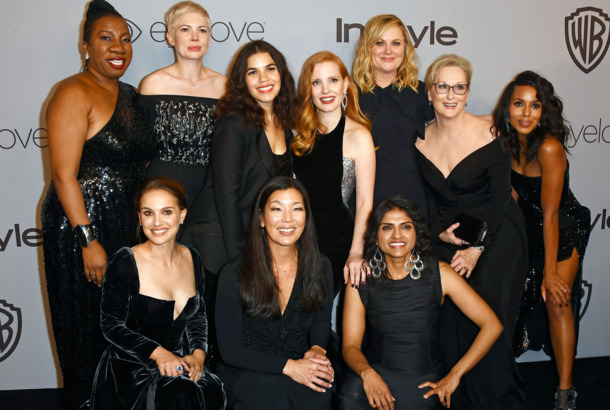 This Year’s Golden Globes Were Elevated by Women (and Especially Oprah)Only Winfrey made everybody feel what the moment was about. The Highs and Lows of the 2018 Golden Globe AwardsFrom Oprah to Franco. Reese Witherspoon Gives You Her Best Oprah Impression at the Golden GlobesShe’s pretty good. Oprah for President? Stedman Says ‘She Would Absolutely Do It’If it is the wish of the people. Oprah Winfrey Will Receive the Cecil B. DeMille Award at the Golden GlobesAnd YOU get a statuette, Oprah. If There Is a God, Tiffany Haddish Will Get to Garden With OprahTiff and O’s Vegetables! Oprah Spills the Beans on Mindy Kaling’s Pregnancy: She’s ‘5 Months’ AlongSurprise! Ava DuVernay Is Directing a Netflix Mini-series About the Central Park FiveThe limited series will be co-produced in part by Oprah Winfrey. Tom Hanks Remains Bitter About One Part of Vacationing With the Obamas and OprahParadise lost. Oprah Winfrey Is Phenomenal in The Immortal Life of Henrietta LacksShe is still capable of surprising us. See the Trailer for HBO’s The Immortal Life of Henrietta LacksStarring Oprah Winfrey, Rose Byrne, Renée Elise Goldsberry, and Courtney B. Vance. Film Stills and Behind-the-Scenes Photos From Ava DuVernay’s A Wrinkle in TimeThe best photo is definitely of Oprah sitting in a tree trunk. The Immortal Life of Henrietta Lacks Trailer: Oprah Searches for the TruthAnd you get a teaser! And you get a teaser! Lee Daniels in Talks to Direct Oprah in Terms of Endearment RemakeThe pair previously worked together on his film The Butler from 2013. Super Friends Oprah, Ava DuVernay Talk 13th DocOprah and Ava talk mass incarceration. Michelle Obama to Oprah Winfrey: ‘We’re Feeling What Not Having Hope Feels Like’She sat down with Oprah for her final interview as First Lady.